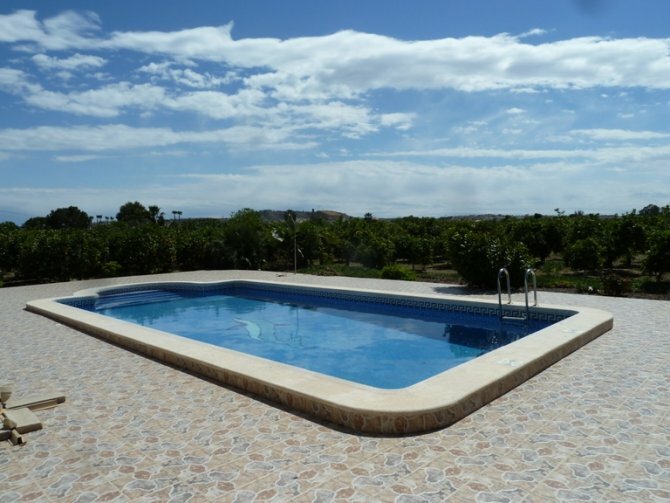 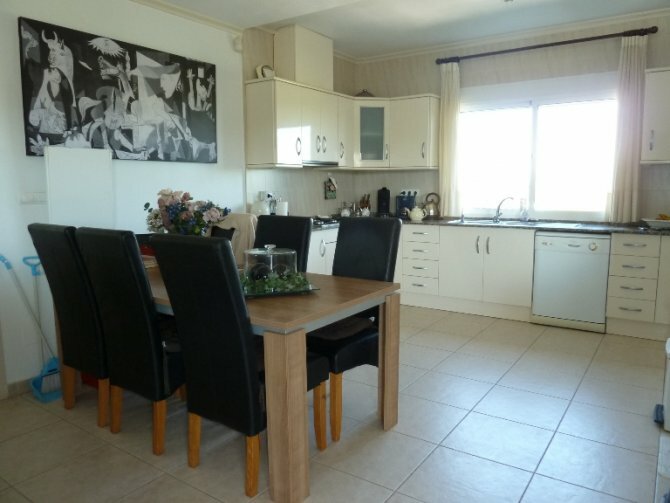 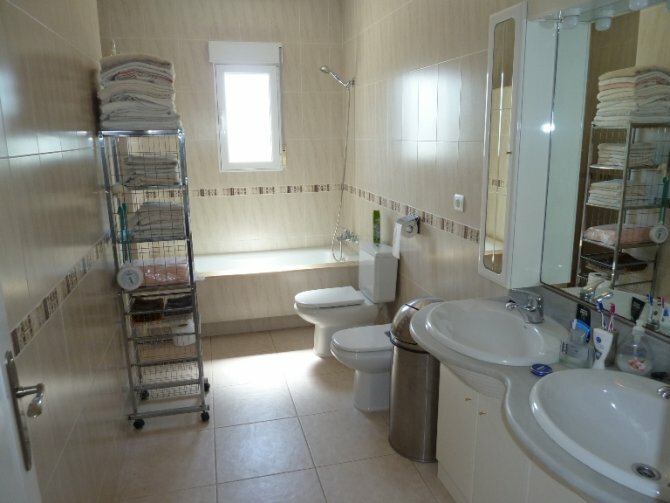 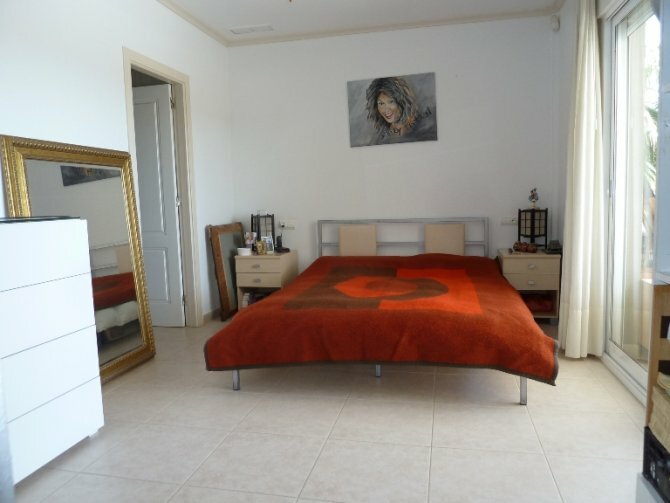 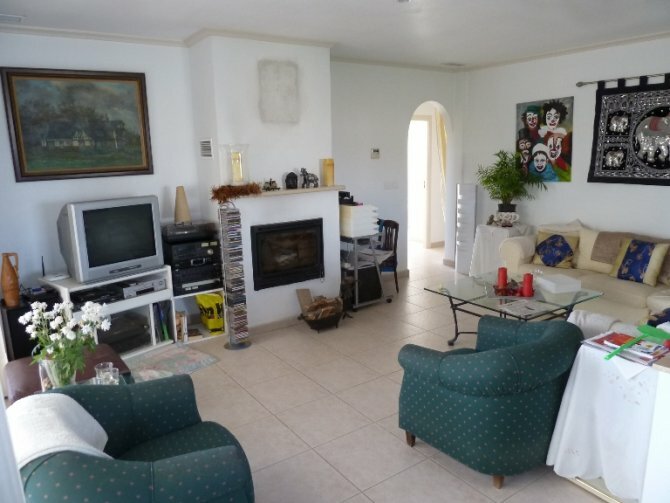 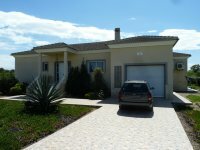 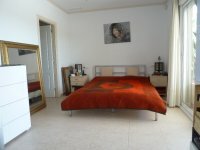 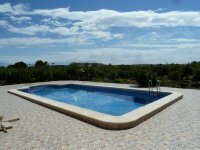 This South facing, four bed Country Villa in Daya Vieja is located near Rojales and San Fulgencio, situated less than a ten minute walk from this charming Spanish village, where you can find a few bars and restaurants, bakery and shop, local square, church and town hall, plus the cultural centre, pharmacy, play park, football pitch and more. This truly fabulous and spacious 280m2 property consists of a fully fitted, open plan, kitchen/dining room; large ‘L’ shaped family living room, which leads out to the ‘L’ shaped, south facing, half covered terrace; four double bedrooms, the master bedroom benefiting from an en-suite bathroom, and three of them with external access; a family size bathroom; and a cloakroom. 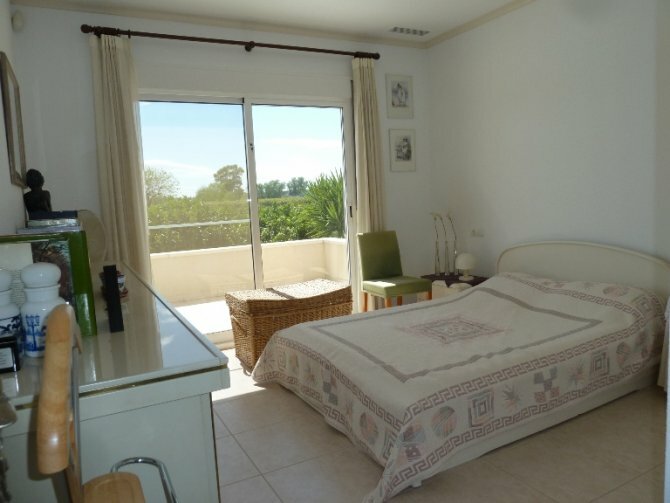 The terrace off the living room is a major focal point for this property, having a fabulous outlook over the private swimming pool and mature gardens, beyond to the surrounding countryside, citrus groves and mountains. 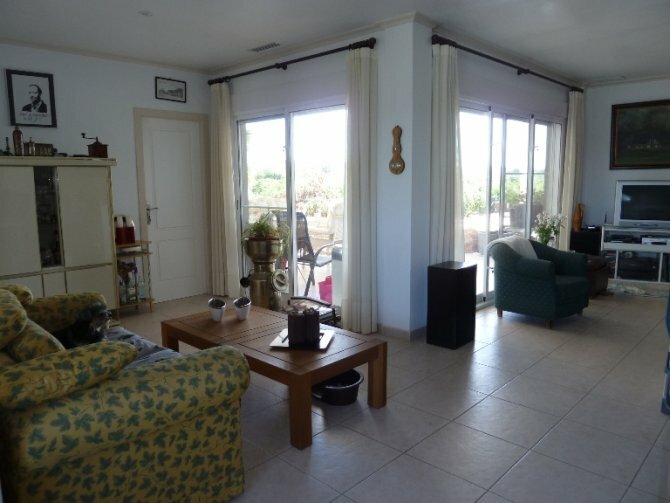 Outside is a well landscaped garden with a wide variety of plants, trees, shrubs and more, plenty of off road parking leading up to the garage space with utility area, and of course lots of outdoor seating and dining areas, also having ample potential to cultivate on the 10.000m2 of land! 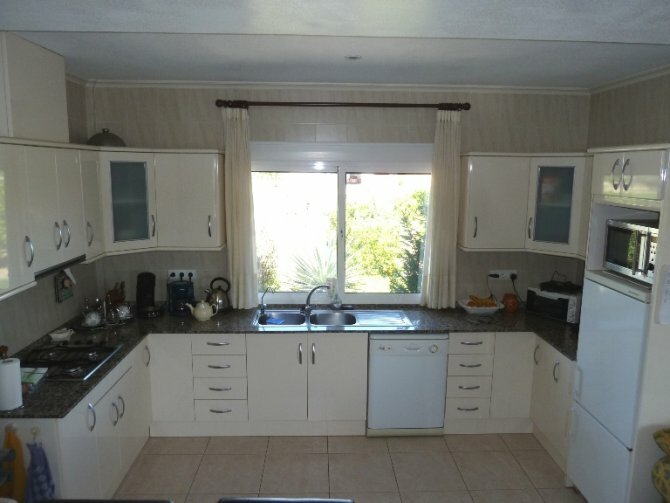 Don’t miss out on this extraordinary fully legal opportunity, with some really great extras include, such as fitted wardrobes, ducted air conditioning throughout, feature log burner, water filter, automatic garage door and more.